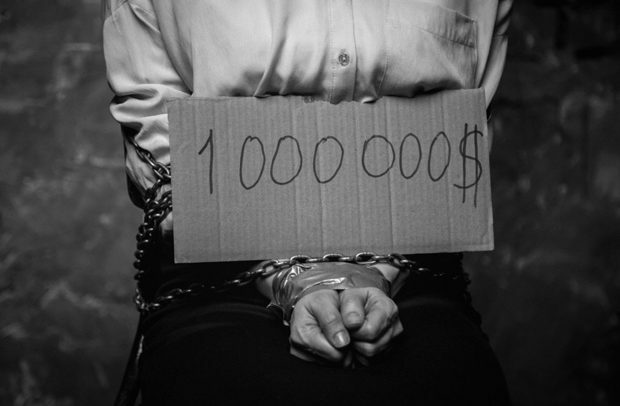 Paying ransom to kidnappers is a disincentive for the war against the criminality. Kidnapping has just made a disturbing landfall in the country and it is being introduced here by criminals from Nigeria. While some say it is being hyped by social media and its mainstream counterpart and nowhere near the picture being posted, we think, nonetheless, that we should be wary about the creeping criminality. We are not being xenophobic, far from that, the first suspect now in the grips of the Police is a Nigerian and with the crime rife in that country, we are surely on point when we express such fears. Cross border crime is something all must join hands with the law enforcement agents, police, customs and immigration in stemming lest we are overwhelmed with its fallouts. Nigeria is currently battling the unfortunate phenomenon and when those perpetrating it in that country turn their attention here, we would be in real big trouble. Paying ransom to criminals would render our efforts at nipping the criminality in the bud, useless. A few days ago, that option was toyed with in some quarters. It was even reported that the criminals had been paid a certain amount of money by the parents of the victims to let go their hold on the innocent girls. Making such contacts with the kidnappers in whatever form should have been with the acquiescence of the law enforcement agency. It would be interesting to find out how the parents touched base with the criminals even as the Police are finding it near impossible to make such contacts. We recall how in countries where the phenomenon is rife, the governments have not been enthused with the ransom payment option fearing that the incentive would embolden others to tread that path. As a ready means of fleecing money from, especially, rich families or even celebrities, the criminality has gone beyond the southern parts of Nigeria to the North where it has never been until now. For us, therefore, no payments should be made to the criminals under any circumstances. A posture of ‘no surrender’ should be put up otherwise the kidnappers would have a field day in this country. There were pockets of unsubstantiated stories about more kidnappings as some media outlets suggested earlier. While we would encourage all Ghanaians to inform the security agents and the media about any case of kidnapping, the unnecessary pressing of the alarm button is undesirable. The fear and panic button when recklessly pressed, would register counterproductive effects. Let us avoid the foregone and remain calm in the face of what, though not a trend in the country, yet it is scary enough for us to consider attacking it headlong. Just as we were concluding this commentary, we gathered that over a dozen suspects have been rounded up and bought to Accra. We hope that after screening, fruitful details would emerge which would lead to the freeing of the three girls. Coronation Of Yaa Naa At Last!